Delush Polish Dancing With Dragons is a gorgeous blue swimming with glitter. 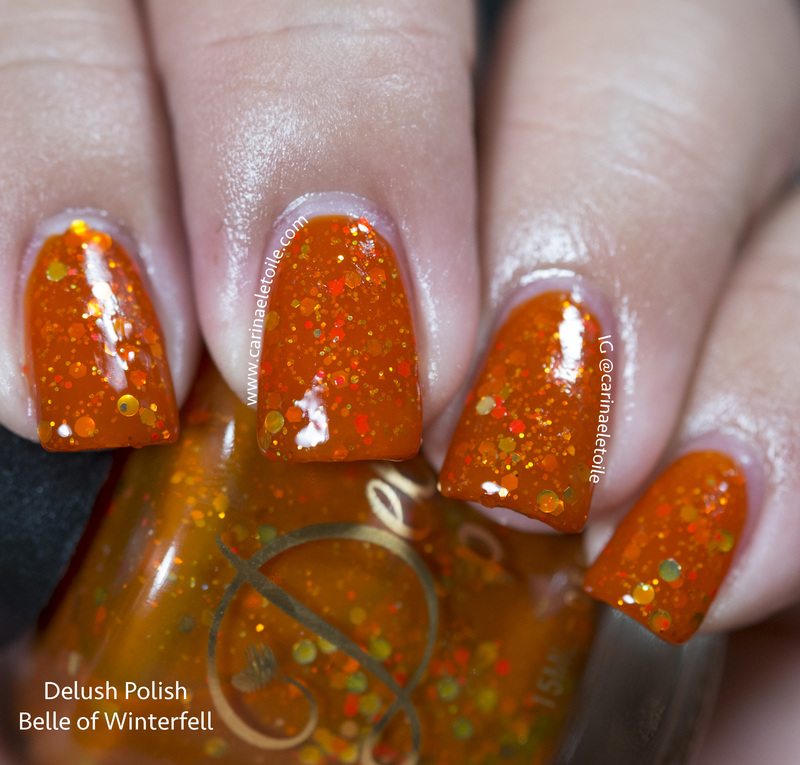 This color is part of the Dames of Thrones Collection she has up. I’ve featured Queen of No Mercy and The Priestess. The rest of the colors will be up this week. 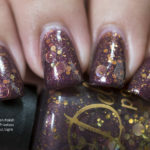 I’ve been meaning to feature this polish before and had even swatched it weeks ago, but inherent laziness, family drama, a minor cold and a dearth of things like people wanting to hang out in the middle of the day, blah blah blah, it all crept into my blogging time. I am remedying it now because tonight is the season finale for Game of Thrones and frankly, I’m looking forward to it. No, I’m not that kind of fan. I have nothing vested in it. I don’t frequent forums with a theory on any thing. I just enjoy the show for what it is. Anyway, one of my favorite characters is Daenerys Targaryen…aka the Mother of the Dragons. 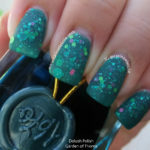 She also happens to be part of the inspiration for this color. 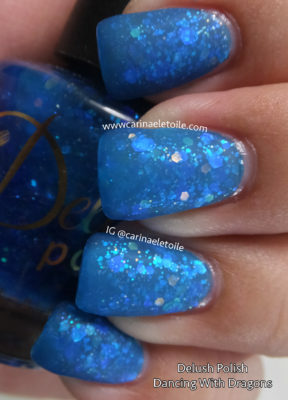 What Delush Polish Dancing With Dragons has done was, when I was wearing it, reminded me of the endless blue skies the dragons flew around in. 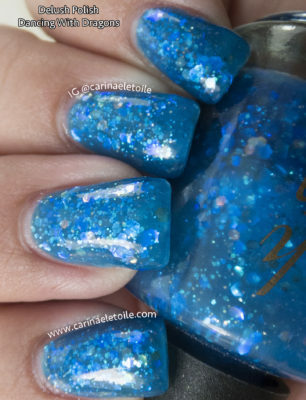 This is one of my favorite blues, glitter and all. Enough of me going on about the TV show and the color. 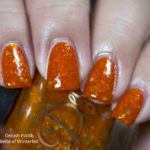 On to the swatches of Delush Polish Dancing With Dragons. As always, please click the image for the full-sized shot. Of course, I had to matte this because…I had to. I was curious! 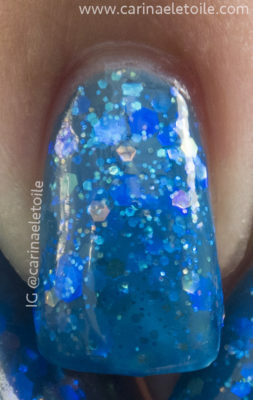 Now that you’ve seen this polish, will you be purchasing it?